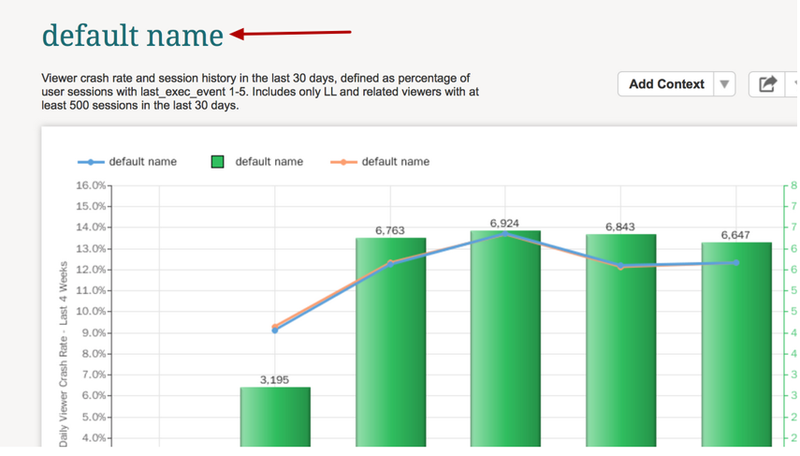 Help & DocumentationSystem AdministrationManaging the Metric Insights Environment Monitoring your systemElement name in MI changed to "default name". What should I do? Element name in MI changed to "default name". What should I do? 1. Connect to machine where MI is installed via ssh or open terminal on this machine. Your issue should be fixed, please verify that in the browser. Prev: Validation errors: "Value '0000-00-00' can not be represented as java.sql.Date"